A swirly vase that has been described as "beautiful" by all and sundry. 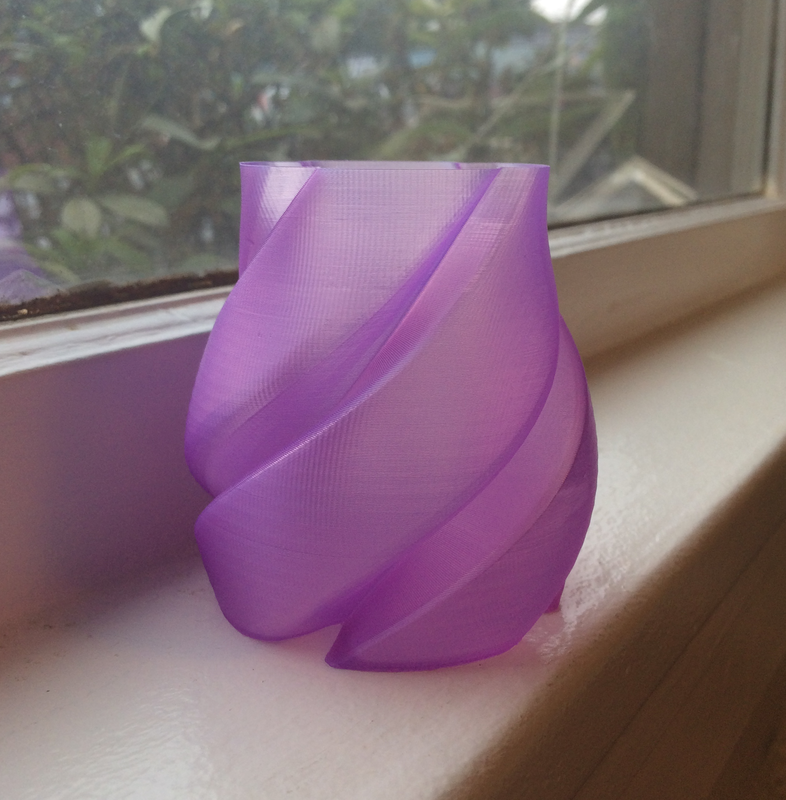 To make a vase, print with several bottom layers, two walls, and no top layers. Blender seemed to have trouble with the STL export of this. As a result, you'll need to scale it up a fair bit in your slicing program. I used Slic3r and from memory it needed 1000% scaling. It printed fine. Printed it using "spiral vase" in Slic3r at about 600%. Any smaller and I ended up with gaps on some surfaces. This was with translucent purple PLA.